OUR MISSION: Our mission is to deliver first class occupational and corporate health services to all clients at all times. We achieve this by being a customer-focused, results-driven, innovative service provider. Healthwork is an innovative provider of Occupational Health. A doctor led organisation, the solutions we provide for each and every client are designed to meet their specific requirements. Our web based portal is a complete health system tool enabling both HR and line managers to have 24 hours access and input to the progress of all cases in which they are involved. All Healthwork solutions are supported by our first class customer service team who know and understand our clients needs. Tok is an accredited specialist and Consultant in Occupational Medicine, a Fellow of the Faculty of Occupational Medicine and Fellow of the Royal College of Physicians, previous Chairman of the Association of Local Authority Medical Advisers (ALAMA), current Honorary Assistant Editor of the Occupational Medicine journal and until recently Chief Examiner for the MFOM examination of the Faculty of Occupational Medicine. Tok has a wide experience in Occupational Medicine, having been responsible for the provision of occupational health services to a number of small and large organisations, including a number of NHS trusts, a number of local authorities, a number of public sector organisations such as police forces and fire brigades, and a number of private sector companies. Tok also is an HSE appointed doctor, and has recently been appointed as health assessor for the General Medical Council and General Pharmaceutical Council. Shaun trained at medical school in Edinburgh and then worked as a General Practitioner in New Zealand and the UK before following a longstanding interest in industrial medicine and retraining as a specialist in occupational medicine. He took up his first consultant post in 2004 at Pennine Acute NHS Trust in Manchester. He founded Healthwork around the same time, being joined by his two fellow directors in 2008. Shaun has wide experience of providing occupational health services to private and public sector organisations. These are many and varied but include Shell, BT, Northern Foods, Schlumberger, Boots and a number of Police Authorities and Fire and Rescue Services. He is a Fellow of the Faculty of Occupational Medicine where he is a senior MFOM examiner. He is an experienced teacher and trainer of doctors and nurses both in the UK and abroad and is an Honorary Lecturer at the Centre for Occupational and Environmental Medicine at Manchester University. While working as a General Practitioner, Shahed was drawn to a career in occupational medicine because of his interest in law. 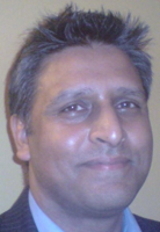 After qualifying as a consultant occupational health physician in 2003, he was fast-tracked as a Regional Director for, at the time, the largest UK private occupational health provider and remained in senior managerial positions until joining Healthwork as a co-director in 2008. Shahed has substantial standing as an expert in pension scheme medicals, including the Police Pension and Civil Service Pension schemes. He has also managed contracts with BT, Royal Mail, Coop Group, RBS and Virgin Media. 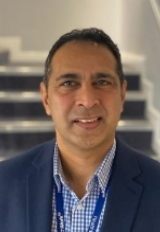 Shahed is an active member of the Faculty of Occupational Medicine in his roles as examiner and Faculty representative to North England medical schools.